Test market your businesses quickly and privately with our unbiased audience. Is this service something that you see people using/paying for? Yes, I can see this a being a possibly very popular service. However, I think a large number of people who would want or need this service are people who might be socially awkward/painfully shy and would be nervous about making the call to have someone come to meet in person- or might not be comfortable talking in person. I would offer meetings via Skype or even have some kind of online only presence available, as well. But I'm interested in the service! Yeah, I could see some people that have a hard time expressing their feelings maybe wanting to use this service. Also people who have a hard time getting thoughts straight or being able to concentrate enough to write a long letter. I see this as being a service that maybe an older person with some attention issues due to advanced age or deterioration or maybe that have lost the motor functions to physically sit down and write would use. Would you be willing to pay for an app that gives you personalized recommendations for the events to attend as well as age/ gender/ demographics information of the attendees? No, I would not be willing to pay for such an app. Generally, I attend lectures, and talks at museums and galleries. Three reasons if would not use this app are: (1) if I attend an event I am very rarely interested in the demographic profile of the other attendees. (2) I make my own judgments on whether I would enjoy or benefit from an event. I am often motivated by the speakers' profile, or the composition of the panelists. (3) In any given year I do not attend enough events to make subscribing to such an app cost-effective. However, I would subscribe to an app that keep me informed about upcoming events that matched a set of criteria. This would save time and enable me to attend more events. No. I would find it odd that an app would have that much personalized information about the attendees of an event. I think technology already has too much influence on our lives and knows too much about people. Having an app that gave me personalized recommendations events to attend would be going to far. I would be curious to know how the app acquired such information. It feels like an invasion of privacy, and I wouldn't want an app giving someone else information about me or an event I was planning to attend. Therefore, I certainly wouldn't pay for it. I'd actually pay to NOT be included on an app's demographics information list. What is your Impression of this company? Would you use attend my event? The typical customers do not describe me well at all. This is a lot of events to put into the hands of a stranger or strangers. I would feel a little concerned for my safety because the places that we would be planning on going. Anytime I am planning to go to a party or bar, I do not spontaneously choose. Instead, I take my careful research, and I use my instinct to decide. This is fit for customers who are very open-minded and willing to travel and enjoy some spontaneity in their lives, and I am not this type of person. I believe there would need to be a lot of discussing between me and the others before I could trust someone to make these travel plans for me to these events. As I did not find any marketplace or single aggregated portal with reviews for thousands of IT agencies worldwide, how about launching such marketplace for both - IT services providers (Agencies) and Service consumers (Customers)? Choice B - It is too easy to Google or ask Siri or Alexa or other search engine to locate what review for any company to be searched. Personally if there is no review of the company available on the web, I move on and continue searching or put feelers out on social media for recommendations. Choice A - The marketplace would be a good resource for someone dealing in this field on a daily basis but still too easy to ask for recommendations or to Google a search themselves. I think is an excellent idea not only for the agencies but the customers as well. The agencies would be able to promote their business through engaging with customers, reviews, and taking recommendations to heart. The customers can provided useful feedback, recommendations to potential customers, and areas of improvement. The challenges may include negative/unfair reviews, lack of agencies to review in particular areas, and the annoying bots. How do you list these IT agencies. Do you list them based off of reviews? Will they pay to be ranked higher or be more visible to potential customers? Will these IT agencies simply use the portal as a means to advertise their firms and not really provide good service? Who vets the IT agencies? If a customer is unsatisfied, who is liable? Way too much risk to me. I think this could be very popular. I see more and more people on my social network specifically asking for a video about how to do something rather than just instructions. I thing videos really resonate with those who are visual learners. However, I also see poorly made videos that seem to waste a lot of my time with long intros telling me who they are, why they made the video, more about who they are and so on before they get to the point. Make videos that get to the point quickly, and stay on topic, and it sounds like a winner. I would prefer it! To be able to get a good view of the product inside and out, possibly worn by a model (in the case of a backpack) or shown with a model carrying a bag so the potential consumer can get an idea of how bulky the product is, how it looks when worn or carried, and how easy or awkward the product is in use. This I much better than a simple picture or a text review which leaves the consumer forced to guess much of the details. This seems like a good idea, since a picture usually isn't enough information to make sure the bag is exactly what you want. Seeing the size and shape, and seeing it being used gives the user a good idea on how the bag will be used, how much can fit in it, and what it's primary functions are. Having the link be in the description makes it quick and easy to get to what they want without having to do a google search. Would you use this service? Would you like to pay for it? If not why? I think this is a great idea. I have worked with small business in my prior jobs and it seems like a service like this would be helpful. I have seen small business fail or struggle because they didn't understand the competition in their location. I would think that an initial meeting would be around 500 - 1000 depending on the type of business, product and location. Then additional meetings maybe every quarter to see if competition has changed. This would also depend on the type of business. Restaurants seem to open and close all the time, they would probably need these services more often than other business. For products it would just depend on the type of product. This is a very broad service area, so it's difficult to give specifics. This sounds great, as a small start up business myself I would be completely interested in this app. Being an app it is convenient and if you could charge a 5.00 USD monthly fee anyone could afford it but you still make a good amount. The more popular it becomes the more you make and even if someone drops it and comes back, they still have to pay every month. This is a brilliant idea! I would invest myself :) Feel free to update me if this becomes a real app > havertysutton@gmail.com Please and thank you! 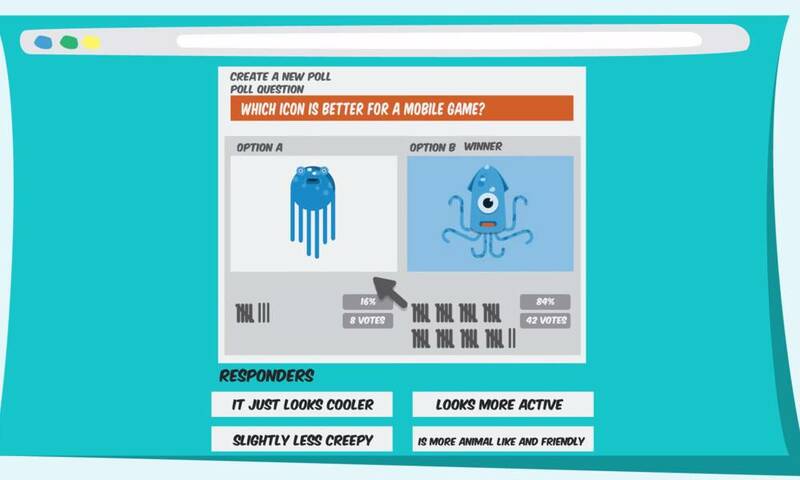 Would you use a website that let you pay to have someone else do a good deed (which you would define) for your friends or family? For example, you could pay to have someone mow your mom's lawn, if you live out of town or don't have time to do it yourself? I think this website sounds like a good idea because it benefits many people. The person requesting the good deed will feel good because they can do something for someone they care about if they don't have the means to be with them, such as in a long distance relationship. The person receiving it will be happy because they know the other person cares about them. Lastly, the person who is paid to do the good deed will be able to make money while helping someone. I would love to have a website like this. First just the fact that lives get so busy and you want to help people but if you helped everyone you would have no time for you. Another reason this would be great is because you could do things anonymously for people. Sometimes we should just do things for people to show that there are good people left in the world. Good deeds are never a bad idea. This idea is genius! I would hire someone to shovel my mother's snow, pick up groceries for a homebound relative, or bring chicken soup to a sick friend living in a different state. This would be a great alternative to sending flowers for occasions--the result is much more practical, especially for those who have "acts of service" as a love language! If you were given shares in a tech company, would you be willing to contribute revenue to the tech company by paying a small fee for its service equal to 1% of what you spend, every time you make a purchase? I don't think I would be willing to give up 1% of every purchase I made because I make some huge purchases at times in lump sums such as insurance payments of $800 a period, car payments of $1200, and credit card payments of $1200. If it were 1% of the total I earned, I could likely give that up, but I wouldn't give up 1% of every purchase every time I make spending. I don't think the dividends would work out for me. Yes, presuming I was given a decent number of shares in the company. If I am invested in the company, an additional 1% fee to help boost the company's financial health and increase revenue, dividend payouts and stock price is business as usual. It's a small price to pay for a greater reward long-term. Yes I would. In order to see the company I am working for make it in this harsh business world, I would do anything it takes to help it grow. This guarantees that i will have better knowledge/experience in this line of work. It could very possibly help me make more money in the future. A glass of water in the morning provides many health benefits including increased energy. Would you buy a product that helps you drink water each morning? What would that product look like to you? Be specific. I'm having trouble picturing what this would offer beyond just leaving a glass or bottle of water on my night stand, so I doubt I'd buy this. Maybe the product could be some sort of filter bottle that you fill before bed, which then has a filtered glass of water for you in the morning. It could also just be an app that reminds you at bed time to have water ready. I need to drink more water so I'm interested but I'm not sure what this product would look like. I guess what comes to mind is a set of cups that say all of the days of the week. I need to drink a full cup of water each day to complete my goal. It would be nice if like Fitbit there was an app to track water and to connect with friends and encourage them. Yes i would. I would buy something that makes the tap water taste like spring water and quenches my thirst. It would have to be something that attaches to the faucet. Currently all the filters that do this make the water taste strange. Not like spring water. the existing filters make water have no taste at all. and it is not refreshing. It would be small, like a kitchen timer or clock. An electronic device that is specifically for letting me know I need to drink water. It would beep and maybe even talk, to let me know I should drink. It would also let me add imput into it, like for every glass I drank. Maybe even play a song to congratulate me. Problem: High quality mattresses are expensive. Solution: A mattress subscription. The mattress costs $200 initially and $60 a year after that. Your yearly subscription gets you unlimited replacements for life. Would you buy this? I actually need a mattress badly right now and honestly, that is an option that sounds great. Ideally, we are supposed to get a new mattress every ten years I think it is so, to be able to pay $60 per year and get unlimited replacements for life, is an amazing deal. People pay more then that for subscription services of non physical items such as, movie watching websites. If this is real, I would love to know who does it and get a link! I would definitely buy that. I assume you would pay until it's paid off, or are you paying $60 a year regardless? I'm not sure how long I would continue if it's like an insurance policy where I would be paying each month and not getting anything in return, but if it's a payment plan to get a better mattress than I definitely would. It's sound interesting either way. As long as the mattress is high quality, yes. Mattress can easily go above 1 grand and this is a good deal. It is easy to muster up $60 a year than it is to muster up $1000+ every couple years. As long as I get the replacement whenever I need then I would take this deal. Actually, this might not be bad bad deal. I'd like to have a new mattress about every 6 or 7 years and good mattresses are expensive. This really sounds affordable and I'd consider this offer for sure. I've never seen an offer like this so I hope it's real. Send an email to your friends and family with the different businesses and ask for their feedback. Create a Google Ad or Facebook Ad for all the different businesses and see which one has the highest click-through rate (CTR). PickFu gets you the same quantitative and unbiased results as buying expensive ads, but much faster and without any of the hassle of trying to figure out how to setup the ads. As a bonus, you get written qualitative feedback you can use to further iterate on your businesses. Armed with this data, you will have the confidence to choose the best business. 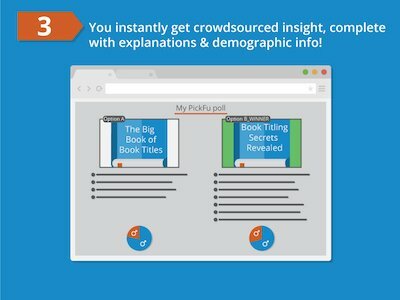 Why use PickFu to test your business ideas? 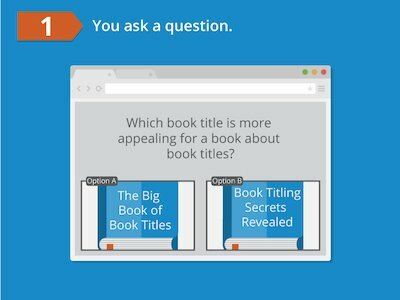 Just write one question and two answer options and your business poll is ready to go. Our respondents match US demographics, so you get balanced, unbiased results for your business. Keep iterating on your business throughout the day as you instantly get feedback you can use. Get an objective third-party point-of-view on your business. Learn the why behind each response and make better business decisions going forward. Crowd-sourcing is not ideal for naming, because a few people spending a lot of time on a name usually yields a better result than a lot of people spending a little time. But it is much more useful when it comes to validating a name. 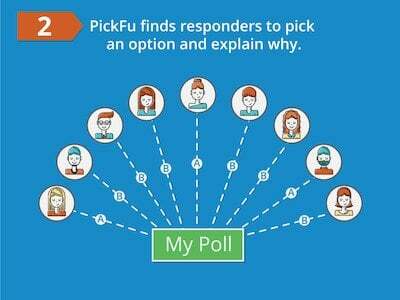 Services like Pickfu allow you to get a second opinion quickly if you’re stuck between two options.